Combining the best of nature and technology, portable solar banks bring convenience, safety, and enjoyment to your next trip. You may want to charge your phone (consider also portable phone charger) for pictures on a day hike. For long camping journeys a source of power is essential. Either way finding the best solar battery chargers can make your life on the road or in the woods much easier. Many solar charges come with a variety of features. Determining your needs help you decide which charger is best for your trip. Portable charges for small devices come in many sizes from hand-held banks to multiple foldable panels. Hand-held devices may include a built-in flash light, which can be useful if you are packing light. Larger panels may not have this feature, but they provide faster charging and in same cases can charge up to three devices. For more intricate trips, like RV travel, you may need a battery charger or a voltage controller. These devices equip you with more energy so that you can charge small vehicles or prevent car battery drainage. 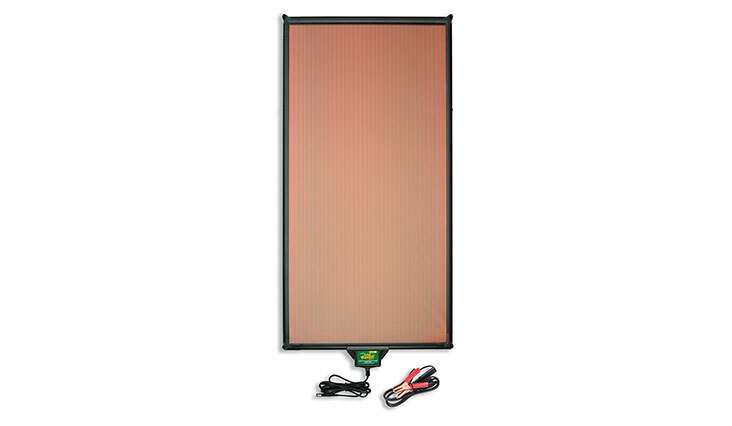 Your basic functions determine the type of solar charger you need. Your next step is to look at the features included. Battery and device protection keep you safe from electrical shock and your technology secure from malfunctioning circuits and a deteriorating battery life. To ensure longevity and well-being, ensure that you purchase the best solar battery chargers that equal your expertise and purpose. 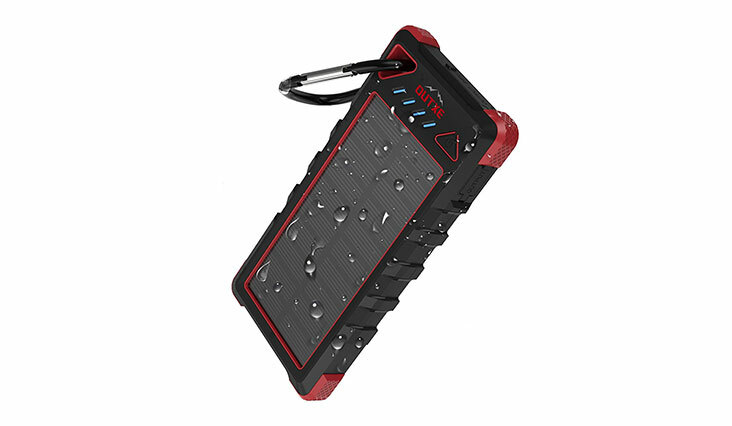 Built for the road, this X-Dragon Solar Charger withstands falls and rain with its hard plastic and silicone shell. Its rubber waterproof plugs keep your outlets dry. Safely use it on the go to charge your devices using the double USB that charges up to 50% faster. Plus use the LED flashlight and hook for camping. 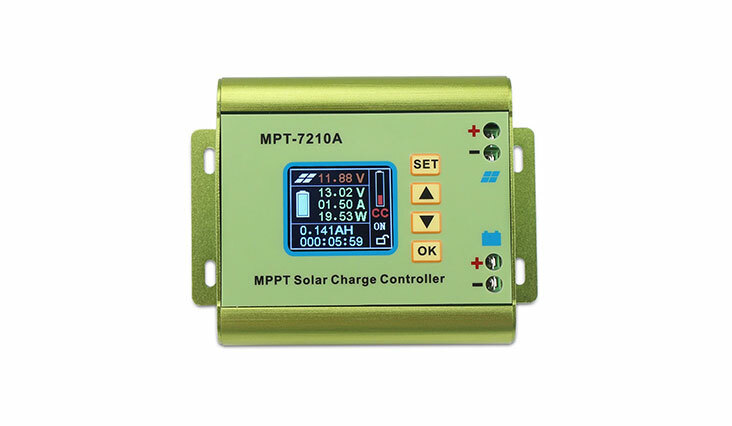 This handy DROK MPPT Solar Panel Battery Charge Controller allows you to adjust your voltage and current while monitoring the charging times, battery life, and power levels. It has a maximum 600w output potential with a battery and a solar panel input and 2 USB charging portals. Be assured that it will function while traveling with its several protective features including overtemperature, overcurrent, and overcharge shut off. The solar anti charge and MOS reverse connection feature protects its battery. The surface coverage this 38’’ x 16’’ Battery Tender Solar Charger allows for optimal sun exposure that is perfect for the outdoors with its waterproof and sparkproof design. Use the microprocessor controller’s 3-step feature to charge a 12v battery and store up to 15w. The installed current regulator avoids overcharging ensuring longevity. 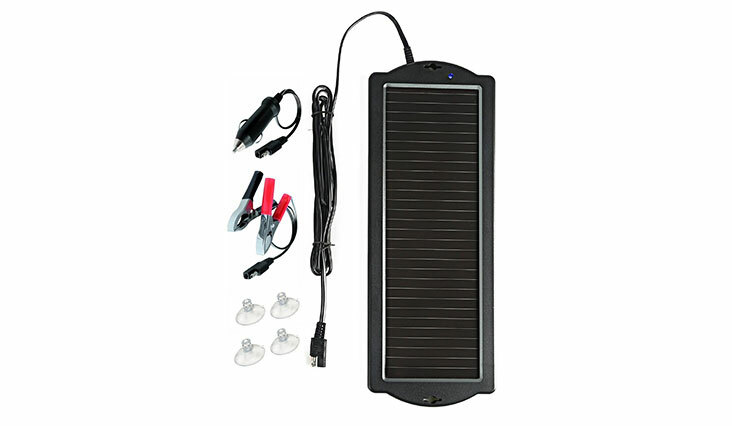 Prevent battery drainage on resting vehicles with this Sunway Solar Battery Trickle Charger that connects to your car using a cigarette charger or crocodile clips. The panel comes with suction cups to attach to your vehicle’s window or dashboard for direct sunlight. Even on cloudy days the amorphous 1.5w panel collects energy while the installed diode averts reserve charging. This compact BigBlue 28W Portable Solar Charger unfolds into four fabric-covered panels and a zipper section to keep your charging device and internal drive dry and clean. The ammeter screen displays amp levels while the computer sensor maintains an even charge. When the sun temporarily disappears, the charger will prevent damage to your device by pausing its charge. 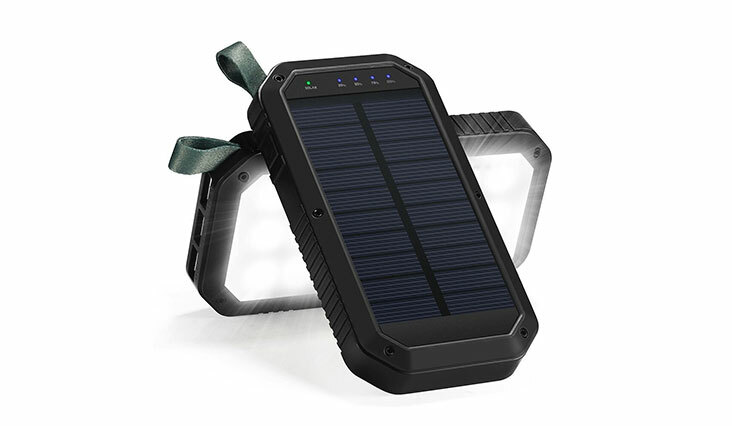 Doubling as a bright 21-bulb LED light, this Solar Charger is perfect for emergency charging during power outages or for extra camping light. The device comes with three USB ports and a mini-USB charger as a primary source of power. 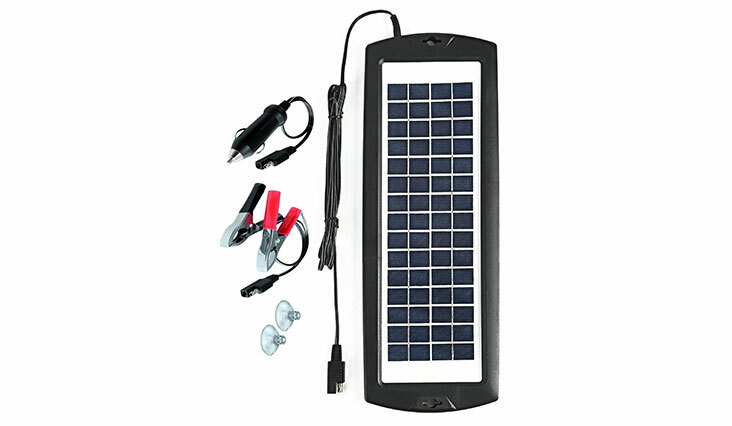 The solar panel should be used as a back up while on the move using its carabiner hook or its angled stand while stationary. Switch between solar and adaptor charging with two LED color indicators. 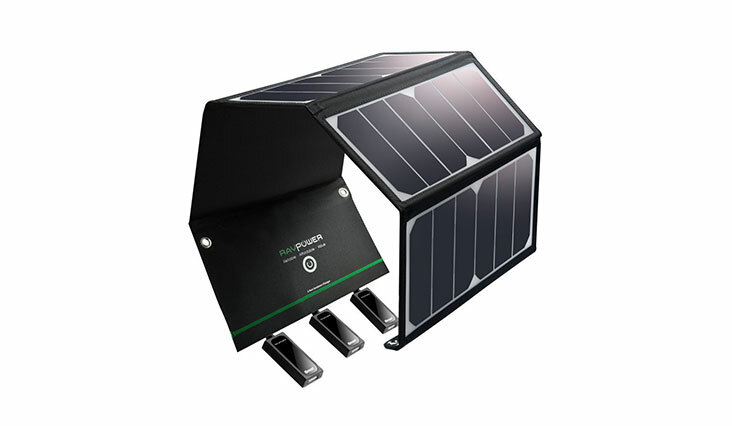 Easily travel with this adjustable Solar Charger RAVPower that includes four high-powered panels that transforms 21.5% – 23.5% of the sun’s energy into storage. The waterproof pouch contains a charging pocket for three USB connected devices that evenly distributes power to all ports using iSmart technology. The design gives full 360-degree coverage of the sun for all day charging. 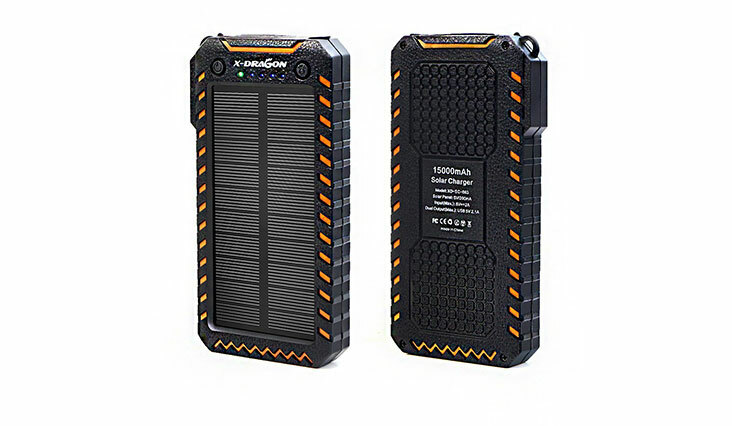 The virtually indestructible OUTXE IP67 Waterproof Outdoor Power Bank features 2 layers of shock-absorbent rubber, up to one meter and 30 minutes of waterproof capabilities, and a high-quality battery with several circuit protectors. The 16,000 mAh charges iPhones up to 5.5 times and provides up to 80 hours of flash light use. Take it camping and hiking with its slip-free shell and convenient hook for ultimate mobility. Like number 7 on this list, the Sunway Solar Car Battery Charger avoids battery drain on vehicles using a cigarette lighter or direct battery connection. It also includes suction cups for easy set up and an LED indicator to determine when the 12v battery is completely charged. The crystalline PV glass panels creates a more efficient absorption rate of up to 3w while creating a durable protective layer. 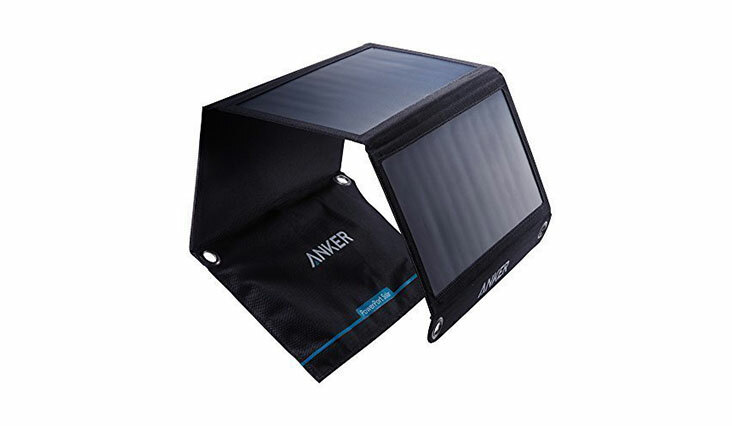 Get power without the space with this Anker 21W Dual USB Solar Charger that includes 3 waterproof canvas-sewn panels and a two-USB protected charging pocket. The PowerIQ feature detects each devices’ normal charging rate and adjusts to provide turbo charged efficiency. Use the 3-foot micro-USB cord for additional power when sunlight is not available. Its multilayer-panel design collects 21.5%-23.5% of the sun energy to provide 21w of power. These solar panels reinforce your travel security and give you peace of mind. They also allow you to bring the devices you enjoy at home with you on the next adventure. Deciding on your next solar charger can be simple. Determine which features you will need like LED lighting, portability, or multiple ports. The decide how much you are willing to pack and whether you need to hook your charger to a back pack or it will be stowed in a vehicle. The duration of your trip is also one of criteria to choose the best fit charger. The amount of power needed influences the storage supply and the amount of voltage output. Remember to always read the instructions and of course enjoy your next charger!